There are endless ways up the shrine of Inari, which is over 230m above sea level. 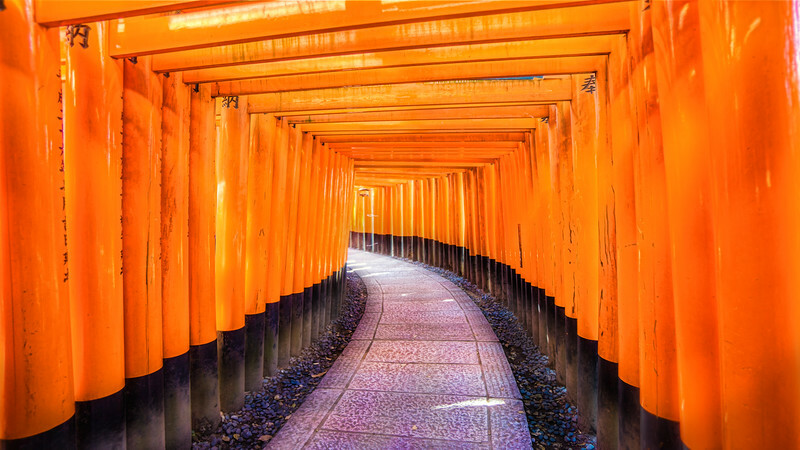 Those orange torii are so many, way beyond what you can count and they cover over 4km of paths up until the head. Probably one should come a bit early to enjoy at least a bit of peace before the tourist armada strikes back.